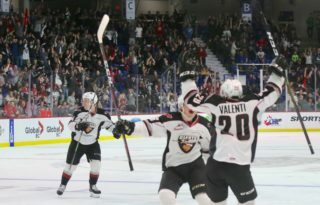 This afternoon in Victoria, the Vancouver Giants and Victoria Royals take the ice against each other for the 10th and final time in 2018-19. Last night’s game was a five-star thriller that concluded with a 5-4 shootout victory for the Victoria Royals. However the single point for the Giants secured them their sixth B.C. Division banner and their first since 2009-10. Today’s game will serve as one of the two games in hand that the Giants currently hold on the Everett Silvertips. They enter play this afternoon four points back of first place. Griffen Outhouse’s 22nd career victory against the Giants was one for his resume. 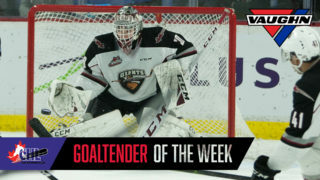 The 20-year-old product of Likely, B.C. was brilliant between the pipes last night for the Royals, particularly in overtime when the game was on the line. Outhouse stopped all six Giants shots he faced in overtime and stopped five of the seven shootout attempts as well. Against the Giants this season Outhouse is 4-2-1-0 with a 2.50 goals-against-average and a .925 save percentage. The Victoria Royals are a nine-point swing away from clinching second place in the B.C. Division standings. Coming into action today the Royals lead the Rockets by eight points for second place in the B.C. Division standings. If the Kelowna Rockets won their remaining eight games, it would give them 73 points. With 65 points, the Royals are just nine points shy of securing home ice advantage in Round 1. Of course any time the Rockets lose, that point gap shrinks even more. Royals top scorer Kaid Oliver left the game early in the second period with an apparent injury and did not return. His status for today’s game is uncertain. The Royals power play this weekend is zero-for-eight against the Giants but their penalty-kill has gone eight-for-nine. They’ve also scored one shorthanded goal. Nine different Royals factored into the scoring in last night’s game – None of which had more than one point. One of those nine was goaltender Griffen Outhouse. Bowen Byram assisted on three of the four Giants goals in last night’s game to give him 58 points on the season. 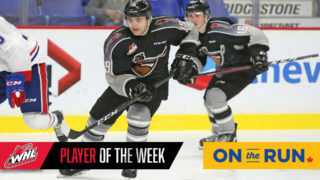 Coming into action this afternoon Byram is ranked fourth in scoring among WHL defencemen and his 21 goals is still tops among all CHL blueliners. His +23 rating is tops on the team as well. 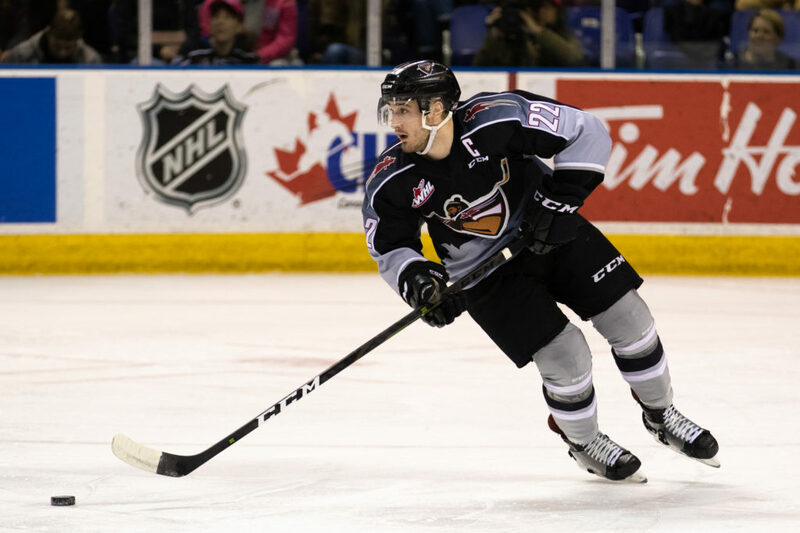 For the season, Byram now has two goals and five assists for seven points in nine meetings against Victoria. Not to be outdone last night was Giants forward Jadon Joseph who helped kick-start the Giants comeback bid last night by securing a goal and two assists in the third period. In 22 games with the Giants Joseph has scored five goals while adding 12 assists for 17 points. He’s played on the power play, he’s killed penalties and won countless big faceoffs along the way as well. 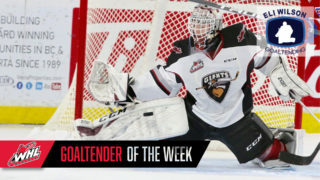 Joseph’s real ‘bread and butter’ is the playoffs where he’s already logged 36 playoff games through his first two seasons in the WHL. The Giants have not lost in regulation to a B.C. Division team since December 15th, 2018 in Victoria. That’s a span of 14 games and the G-Men have gone 12-0-0-2. Milos Roman’s 15 power play goals ranks him tied for third in the WHL. He has five goals and two assists for seven points against the Royals this season. Jared Dmytriw has notched three goals and four assists for seven points in nine meetings this season against the Victoria Royals. He had the game-tying goal with 42 seconds left in the third period last night.